Yes that car has been listed for some time now. I've no doubt it's a quality car but coming from Classic Throttle Shop it's about $10k overpriced in my opinion. If they were to drop the price then I might have a look at it. 9fan - When you say check Porsche Australia are you suggesting their pre-owned cars or just check how many were sold in the country? I agree what I'm after is reasonably rare. I've only seen 4-5 red Turbo S's for sale in the last 2 years or so. Greg - Thanks for this. I'm aware of the two red 87 Turbos on the SA Porsche club site. They are tempting but aren't S models & would need a bit of money to make presentable/reliable. Very impressive build. The styling is a little busy but when you have that kind of power I think you need a kit that screams as much as the exhaust would! OzJustin replied to MB911's topic in Not Porsche - Everything Else. I really like what they're doing with the body. Obviously it's not finished yet but squishing the roof down and widening the track is really making it more aggressive. I can actually see some similarities with a Ferrari 360 in the second shot believe it or not (squint a little!). OzJustin replied to P T's topic in Not Porsche - Everything Else. Merry Xmas all. Have a relaxing enjoyable break. Douglas - Excellent video too. Thanks for sharing. 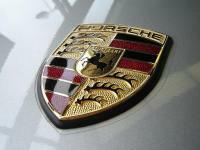 What’s your favorite car other than Porsche? OzJustin replied to BlueStar's topic in Not Porsche - Everything Else. Congrats on your new acquisition Nicko. Hope you've enjoyed it the last few months. Can't beat a well looked after 944. Hi everyone Justin from Brisbane here. I'm 25 years young and looking to join the Porsche ranks in the not too distant future. I've owned a number of japanese sports cars over the years but from my 18th birthday I haven't been able to shake a desire to own a 944 Turbo. Sitting on the Rennlist and Pelican Parts Forum and seeing all the stunning 951's being built up hasn't helped my desire. My current Nissan Silvia is probably screaming at the thought of being replaced right now. I've attended a number of Porsche Club QLD cruise days and concourse events. Great to finally stumble across an Australian Porsche Forum. I look forward to chatting all things "Porscha" with you all! Some excellent pics. Cheers for sharing!